It’s a picture of me and my ex-husband and our Granddaughter. Nostalgia: Our marriage wasn’t always good and yes it ended in divorce, However: for seventeen years we shared our lives together. We were kids when we started having kids and we struggled and kicked and fought our way through growing up together , we raised our kids, there were times we highly disliked each other but make no bones about it, there were times we loved each other very much. 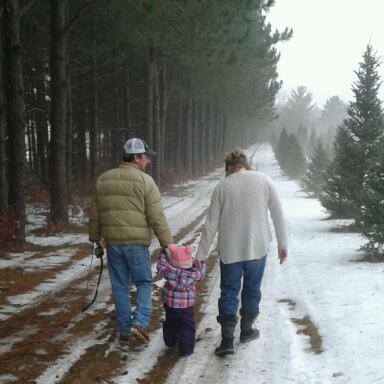 We used to take our kids to this same tree farm when they were little, all of us bundled up in our winter jackets together on the hunt for the perfect Christmas tree, and now every year we do it together with her. Forgiveness: No bitterness, No holding grudges, I have forgiven him for his wrong doings and he has forgiven me for mine. Unity : We have always been united when it comes to her, we send each other pictures and videos of her. She talks to me about her Papa and the things they do together, and I listen intently and with admiration for the relationship she has with him, for the man he is when he is around her, for the Papa he has become. 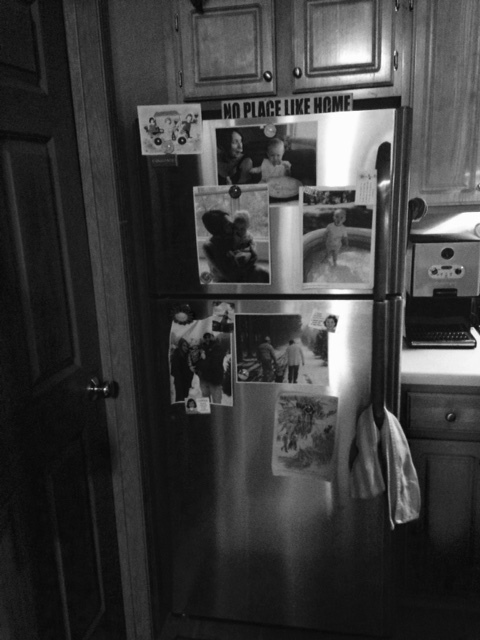 Mostly I have it on my fridge for the little munchkin holding our hands in the picture above, because every time she comes to my house and her tiny little self looks up on the fridge, she goes over each picture and tells her story. Every time she says it I think: I love that she doesn’t know any different ,she hasn’t been jaded by our story before she was in it and then I realize, I don’t know it any differently anymore either. The past has slipped in to the past where it belongs and I get to see the man I was once married to be the best man he has ever been through my Granddaughters eyes. I like this. Relationships are much more complicated and interwoven than the labels we commonly use to describe them. I think it’s nice that you continue that tradition, and keep things positive for your granddaughter, and actually for the both of you. Sets a good example for her, too. Everyone can always use a little more love. Amen, never enough love! No matter the beginning or the middle, I love the ending of our story – back to love, on a different level.